Strong Enough to Play College Tennis? Getting recruited doesn't happen overnight. It is a rather long process, which typically stretches across several months. Unless you are one of the top recruits, you most likely don't really know yet which division would fit best or at what school you'd have a realistic chance of making the team. For starters, keep in mind that making the team often equals receiving some sort of athletic scholarship. 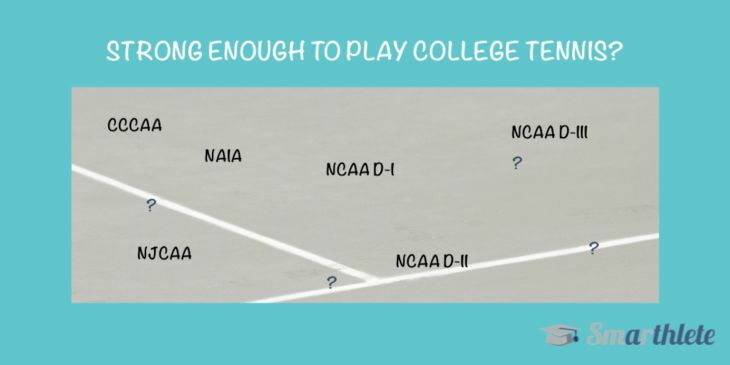 In other words, you have every reason to understand not only whether you have what it takes to play college tennis, but also which teams you should be targeting. There is a spot for all kind of players, provided they can afford to attend the respective school. That needs some explaining. 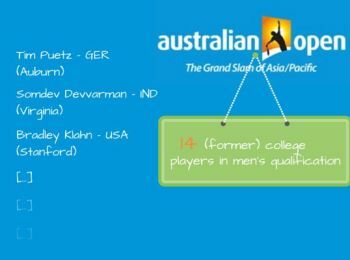 The strongest collegiate teams across divisions are a stepping stone for future pros to fine-tune and develop their game, shown not least by the likes of the Bryan Brothers, John Isner, Kevin Anderson or Danielle Collins on the women's side. These teams have the maximum permissible amount of athletic scholarship funding, great recruiting budgets and top-notch facilities to attract the best players. Other schools in lower-level divisions have either no athletic grant-in-aids at all (NCAA Division III) or limited scholarship budgets. Clearly, these coaches and schools have a much harder time attracting the strongest players. Still, such schools run great tennis programs which add to the diversity of student life on campus and attract a different kind of student-athlete: passionate, solid players who have no ambition of turning pro whatsoever, who simply play the sport because they love to improve, compete and be part of a team while earning their degree. There are various reasons why students decide to apply to college, such as the academic reputation, the specific major, the career opportunities after graduation, the location, a college close to home, the cost of attendance, or simply the fact that it's mom and dad's alma mater. 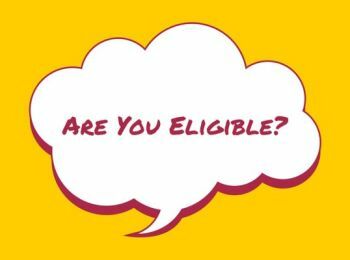 Make no mistake: schools still may give out generous financial aid packages (Blog: Financial Aid for College Athletes), which are comparable to (or even better than) those of schools, which have (larger) athletic scholarship budgets. 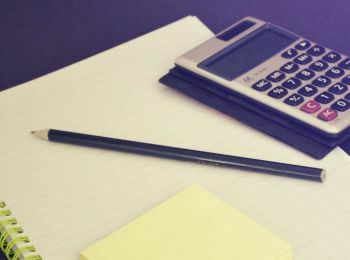 But depending on the scholarship amounts, you and your family may need to cover the remaining portion of costs, after receipt of a financial aid offer. And that's when lesson #2 kicks in: depending on your budget and/or your willingness to invest in your education, there is a spot for you on a college team. Let's turn to finding out how you can assess "how strong/competitive" you are and which division/team might be just the right one for you. The easiest way for you to get an answer to that is by sending us a bit of information about yourself by completing our Recruiting Assessment. We will get back to you in no time with our assessment of your chances to play college tennis. We will tell you honestly about your chances, what it would take, whether your expectations are in line with reality and how you should best go about your recruiting process. Ready to get started? Just follow the link above, send us your input, and we'll start assessing you as a potential recruit right away. Over the last couple of years Universal Tennis Rating (UTR) has established itself as a really handy recruiting tool for coaches and athletes alike. What is the UTR and what does it offer? It's essentially a "tennis handicap", which assigns a number to tennis players, comparable to that in the world of golf. As a result of that, players can compare themselves regardless of age and gender. Not all players have a UTR as it depends on the type of tournaments played and how recently that's been the case. College players eventually all have a UTR, as collegiate results are used in the calculation of the various ratings. But be careful, UTRs may not be reliable, can be inaccurate to some extent and it's definitely not everything coaches base their assessment on! Internationally ranked? Got a really high ITF ranking? Perhaps some success on the "ITF Transition Tour"? Then all of these results would be reflected in your UTR as well and you can aim at the top teams in Division I or Division II. But say, you don't have a UTR, because you haven't played the "right tournaments" in order to obtain one. What you will most likely have is some sort of junior or senior ranking/rating wherever in the world it is that you compete. That could be a regional ranking, a high school ranking, a national rating or something similar. Generally speaking, a top junior ranking in any U.S. state, region (say, Bevaria in Germany or Catalonia in Spain) or nation (say, Top 10 in a Scandinavian country) should indicate that you can look to play in strong teams in the various divisions. The lower ranking/rating, the weaker the college team in order for you to make the line-up. It's as simple as that. 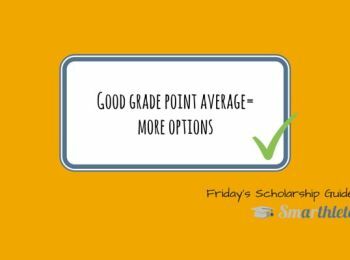 In case you don't have any of the above, things may not look too great and you should definitely contact us by completing our Smarthlete Recruiting Assessment. You won't be recruited based on your results, but rather based on your skill set at the time of getting in touch with coaches. Last but not least - and the trickiest and most complicated of all ways - in order to find out how competitive you are: look up the players of each college squad and see how they stack up compared to you. We'll give you an example: Say, you have decided for yourself that you really want to play in a NCAA Division II team. Understand the D-2 national rankings, respective conference rankings and have a look at a few very strong teams, medium-strong teams and some of the weaker teams. Understand the level of play of the athletes on the various positions: What's the background of the #1 player of Team A, compared to the background of the #6 player of Team D? And how does #3 in Team C stack up against #3 in Team K? How do you think you fit in? Looking into all of this is too much work? Back to our Recruiting Assessment, as described above! If you happen to find yourself in an area, where local collegiate dual matches or college tournaments take place, do yourself a favour and watch some collegiate action. This will not only help you get a realistic picture of the level of tennis of the teams in the various divisions, it will also help you assess first hand what you believe you'd be able to do a few years down the road. It definitely helps to avoid the above 2 pitfalls of having a biased idea of your own level and the prevalent level in college. How will I go about getting an offer to become part of a team & receive a scholarship? Have Smarthlete help you find a team with our College Placement service. Feel free to email contact@smarthlete.com in case you got a specific question about your level of tennis or your recruiting process. We look very much forward to hearing from you! 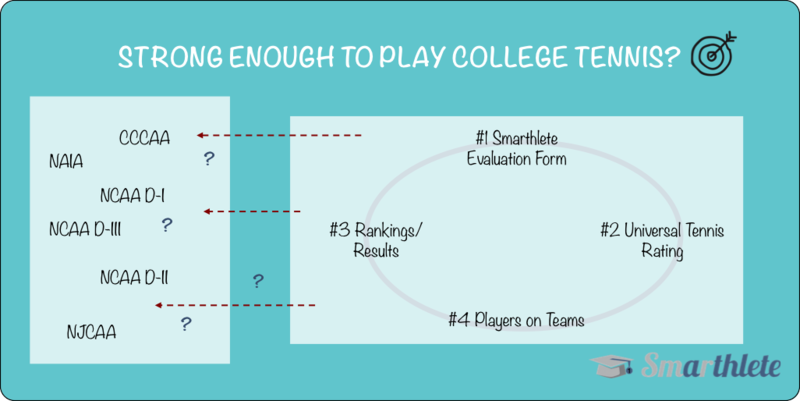 Do Academic Results Matter for College Coaches? The college sports recruiting network for prospective student athletes, parents & college coaches. Take the guessing out of your recruiting process - find your match.